Broccoli, Celery, Gotta Be - A VeggieTale Birthday Party! 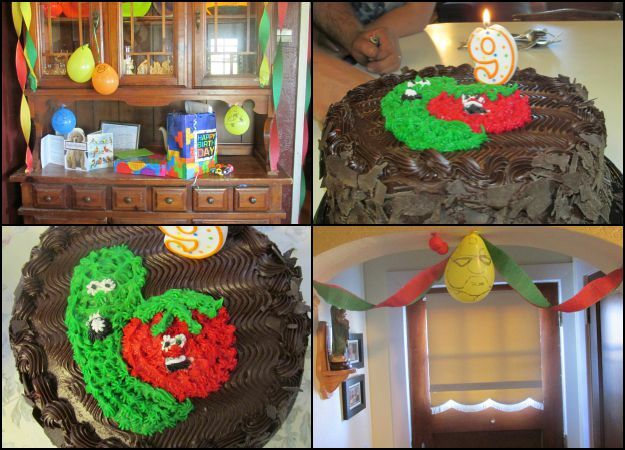 A VeggieTale birthday party is a fun and memorable way to celebrate a VeggieTale fan's birthday. The guests will have a blast, too. Below are some suggestions on how to throw a VeggieTale themed party complete with food, decorations, and activities. What is a VeggieTale party without the obvious vegetable tray? Meat and cheese can go along to add something a little more substantial. Borrowing from The Pirates Who Don't Do Anything, we like to serve potato chips with the phrase "pass the chips" on a pick. Of course the cake will need an image of Bob and Larry! Watch this video with Madame Blueberry on how to make cute and delicious chocolate chip turtle cookies! Make these cookies either to put on a platter and serve at your party. Or if you enjoy baking with a crowd, make them at the party as an activity. We even drew faces of characters on the assorted shapes and colors of balloons we used. Each character got a balloon the color the character it is in the movie. Jean Claude and Philippe were small green balloons while Larry was a long green balloon. I'm sure you can guess that Bob was a stout red balloon. 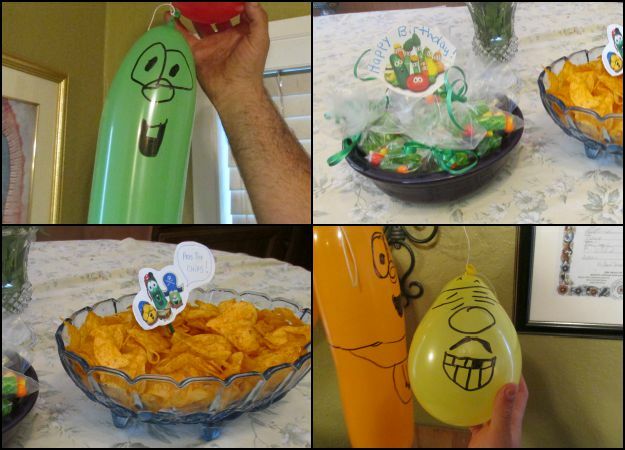 We made candy bags that looked like vegetables as party favors. These are a joy to send each child home with as a "thanks for coming" prize. As party favors, we filled sandwich bags with "vegetable" candies or a VeggieTale pinata can also be filled with the same vegetable candy assortment. Set these in bowls near the door for the guests to take as they depart. Paint the veggietale character you want on a large paper bag. Tape or glue the streamers to the bag. You can either have your guests hit the bag or pull ribbons that have laced it shut. Below is a video tutorial on how to draw Larry Boy for your pinata. 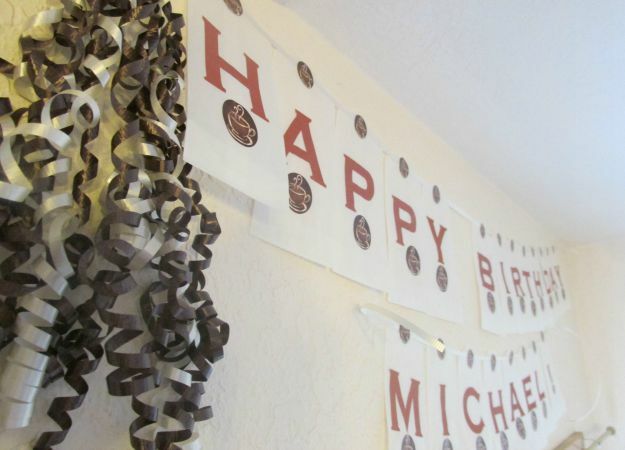 We had a great time decorating for this birthday party! 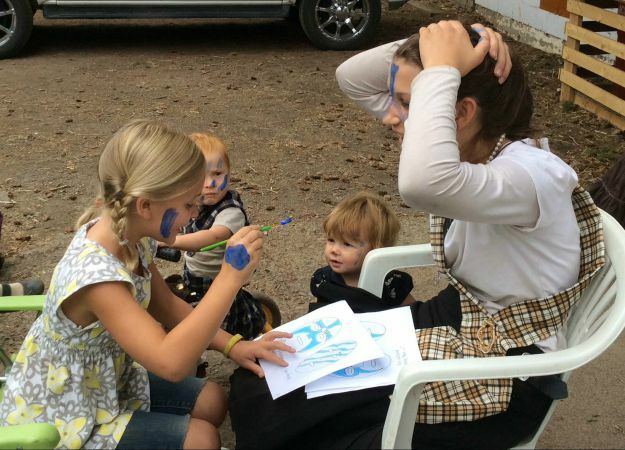 As described above, drawing characters with permanent markers on balloons is a fun activity for a VeggieTale birthday party as is baking with Madame Blueberry. Some other activities that can be done at your party are Bigidea's VeggieTales Dance Dance Dance Dance Pad Game. This game is not too difficult for any age and can be purchased at Amazon. Another hands on cooking idea is to make little penguins out of olives, cream cheese, carrots and toothpicks. Watch this video on how to make these adorable little treats. There is also a video on the VeggieTale movieThe Toy That Saved Christmas. Remember to let each child take a swing at the pinata. To make the pinata destroying fair for the smaller children let them be the first to swing, and let them have three seconds to grab candy before the big kids come and take it all. Thanks so much for reading! I hope this theme is chosen for your next child's birthday party! If you have any other ideas for a VeggieTale birthday party, please share them!